This roasted acorn squash is sprinkled with a blend of seasoning sure to have you asking for seconds – and made without any added sugars. Growing-up, squash wasn’t on the menu. I never asked my mom why. If I had to guess, it probably had something to do with one particular picky person in my family. Perhaps a case of undiagnosed neophobia. I’m not mentioning any names, but if definitely wasn’t me. It wasn’t until I began studying food and nutrition that I even acknowledged the existance of squash – I’m glad I did. Acorn squash is overflowing with nutrition, and when prepared right, it bursts with flavor. I made this recipe last week and the mix of spices, butter and roasted squash made my kitchen smell amazing – like a cinnamon pumpkin candle burning all day. It hit me I’d never shared a recipe for acorn squash on my blog, so wala. 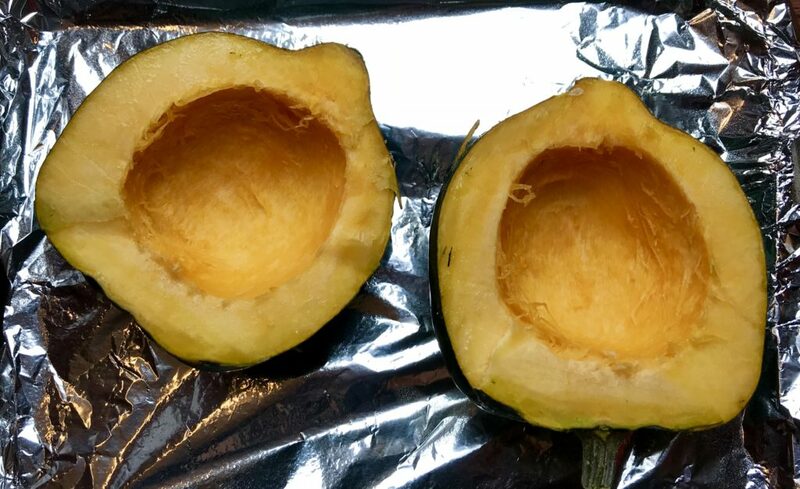 I decided I would share how to roast and season acorn squash in a way that will have everyone asking for seconds, and make your kitchen smell like fall. But before I dive into recipe, let me first tell you what it is. Acorn squash is a type of winter squash named for its acorn-like shape. It comes in a variety of colors, ranging from bright orange and yellow to dark green and even tan. You can find it in most supermarkets’ year round, but this time of year we tend to see more recipes and squash talkhappening. It’s definitely a fall food. The leaves start to fall, and I start cooking squash. What are the Nutritional Benefits of Acorn Squash? As a dietitian, I encourage consumers to following a nutrient-dense diet. That means, choosing foods that are high in vitamins, minerals and fiber, but remaining relatively low in fat, saturated fat, sugar and salt. Acorn squash is one of those foods. 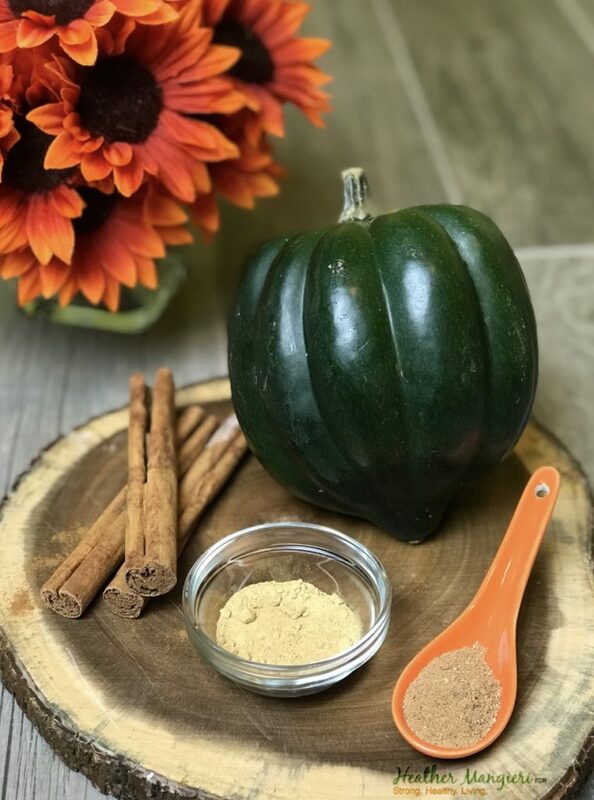 Aside from being packed with many of the vitamins and minerals needed for everyday health, acorn squash is also a great source of phytonutrients – those chemicals (yep, I said chemicals) that have been shown to play a role in chronic disease prevention. Squash have a very high concentration of carotenoids – the pigment that give squash their bright orange color. All winter squash have a variety of different carotenoids, such as zeaxanthin, flavoxanthin, neoxanthin, taraxanthin, and more. These carotenoids have been shown to have powerful antioxidant properties. Isn’t Acorn Squash High in Carbohydrates? I get that question a lot. The answer is relative to how you define high. Squash has a higher carbohydrate content than broccoli, but a low carbohydrate content than chocolate cake. Remember above when I talked about nutrient density? Well, acorn squash is a nutrient dense food. It’s considered a starchy vegetable, so it definitely has more carbohydrates than the non- starchy varieties. But the high fiber content makes it a win-win for maintaining your weight and helping to stabilize your blood sugar. That’s because fiber isn’t easy for your body to digest, so it passed through the GI tract slower, helping you to stay fuller longer, and slowing the release of glucose into the blood stream. Now that you know what acorn squash is, it’s time to get cooking. This recipe make preparing a festive fall meal super easy. I hope you love the flavors of this dish as much as I do. Cut acorn squash in half and scrape out the seeds. Brush the flesh with butter (you will use ~ 1 tbsp here) then sprinkle with ~1/2 of the spice mixture. Place flesh down on the baking sheet and cook for ~45 minutes. Remove from oven, then add the remaining butter into the warm squash. Sprinkle with the remaining spices. Serve warm as a side dish. Looking for other flavors of fall? Try this roasted butternut squash or bisque soup.